Taxonomy Day 2018! Museum Trends from Starfish Travels! So for the last 3 years, I've been lucky. 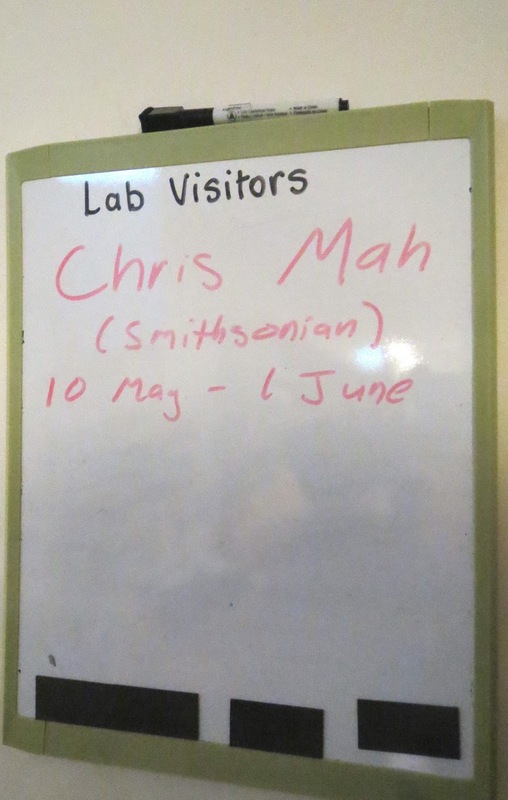 There have been multiple opportunities for me to do field work but more importantly to visit museum all around the world in order to study the animals I love so much! I've been away for up to four months every year for the last few years. Australia, Japan, South Africa, Paris, Honolulu, San Francisco..and probably more in the years to come.. I've said in prior Taxonomy Day posts the Natural History Museum is the home and indeed the HABITAT of the Taxonomist! So, today.. some impressions of common trends that I've observed in honor of today.. TAXONOMY DAY! aka Taxonomy Appreciation Day! 1. Museums Remain THE HUB for discoveries! I've been in the field plenty of times. Intertidal zones on various continents and islands. Two submersible dives, out on plenty of ships.. but in terms of finding a BUNCH of new species all in one trip?? NOTHING beats a visit to see the collection of a good natural history museum!! Everything from natural history surveys, research expeditions, to simple donations by well-travelled museum patrons you can find all manner of important specimens that result in new species, rarely found species, juveniles and even specimens showing ecological interactions! My recent travel has been VERY fruitful. Mainly resulting from recent deep-sea expeditions to exotic lands! Other museums have been similarly fruitful!! The Museum Victoria in Melbourne for example includes recent work by Australian colleagues including Dr. Tim O'Hara returned last year with thousands of specimens, ranging from worms to sea stars to fishes! from a survey of the deep-sea habitats of Australia! 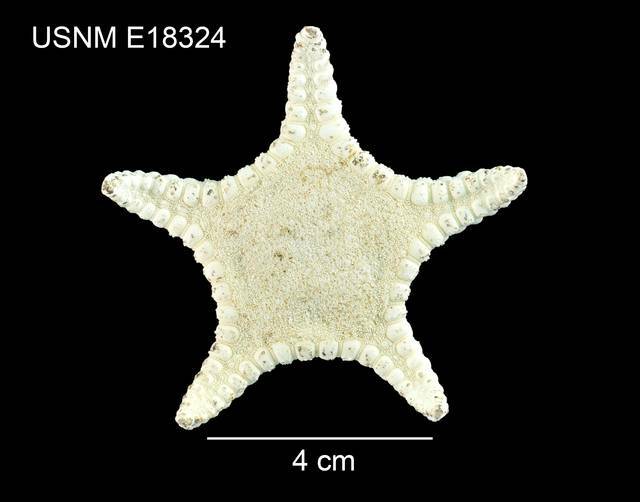 Their work recovered hundreds of new records and many new species of sea stars. Its gonna take awhile to work that up!! As I've mentioned before.. prior work has recorded that it takes on average about 21 years for a specimen to go from collection to shelf to publication! I've been ahead of the curve in describing many of these species! 2. When a Good Thing Becomes a Challenge: Space the Ongoing Frontier! So. Here's the thing. A reality of ANY kind of collection. At some point, if it is growing at a healthy clip, EVENTUALLY you will have problems with space. That is to say.. not enough of it. You have more and more specimens.. and eventually every shelf, every inch of space gets used up. Its not unusual for some museums to literally inherit a collection from ANOTHER collection, often from universities or other academic institutions, instantly doubling the contents but also the workload and burden on resources. 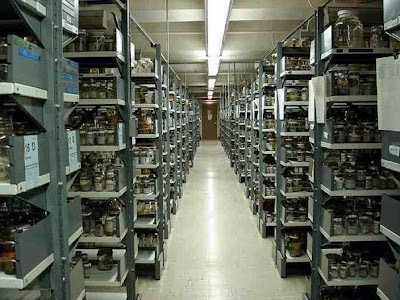 This post from Science highlights this issue of "orphaned" collections. Some collections, containing scientifically valuable and important specimens ranging from fishes to plants often face problems due to lack of support.. This is an issue that has come up at EVERY museum collection I have visited! This especially becomes an issue if you work on big, ungainly shaped animals such as sea stars! Some animals are conveniently small and "stack" conveniently..but others.. not so much. Museums are often judicious in what they accept..but in other cases they are obliged either legally or scientifically to accept valuable specimens. Sometimes museums are faced with inheriting important historical collections-lots of type specimens, rare or even extinct (non fossil) species.. Solutions are there...new buildings. Fund raising. Remodeling to maximize space! This is an ongoing challenge even in the most modern of institutions with natural history collections (or any kind of museum really) These types of challenges keep a future vision for natural history collections important. 3. Databasing & Cataloging! Making Collections Available to everyone! This is, of course, a natural function of any natural history museum collection. Keeping track of what's available.. BUT lately there has been a HUGE push to make sure that materials have not only been cataloged and database but ALSO available to the scientific public! This has been especially important for historically important scientific collections such as the one at Paris, which has specimens that have been around since the 1800s and the time of Lamarck! Museums have taken to making creative use of volunteers and citizen scientists to help with cataloging specimens. I've seen "cataloging parties" where volunteers help to sort and catalog specimens en masse (simple locality data) into a database leaving the more complex entry tasks to the staff. 4. Digital Imagery: More of it and its increasing significance! The last few years have seen a HUGE uptick in the abundance and availability of imagery. But more commonly throughout the museum world I've merely seen that almost EVERYPLACE I've been has uploaded imagery of their collection, making those specimens available to anyone with internet access. This is particularly important for those ever so rare specimens known as TYPES (here for full explanation) basically the specimen or specimens designated by the original researcher which defines a new species. "Digital images of the specimens will make it MUCH easier for people to see the specimen so we don't need to ship it or so they won't need to visit!" Others have expressed the opinion that these images will DOOM the museum! "Digital images of the specimens will make it MUCH easier for people to see the specimen so we won't need to ship it or so they won't visit! I remember the olden terrible days before the days of the Internet..but ESPECIALLY before the days when the Biodiversity Heritage Library was available!! thanks to the online version of these books I can now carry a global-scale library for starfish taxonomy on my laptop.. almost anywhere in the world! Not everyone has a Smithsonian or Paris-level library.. but now you can. 5. Shipping & Customs! New Challenges! What might surprise many people is just how IMPORTANT shipping and customs regulations are to museum "business." Specimens regularly ship back and forth between natural history museums, mostly as loans for researchers to study specimens they wouldn't normally be able to study. Specimens would be analogous to rare books being sent back and forth between different libraries so that scholars in different parts of the world can refer to then.. In one high profile case in 2017, Australian customs officials who were ignorant or unaware of the value of museum specimens destroyed unique and priceless French holotypes... which led to an international incident. Undoubtedly.. there are those who would say that nothing I've summarized here is necessarily new...and perhaps to the museum worker or working taxonomist..probably not. But the common travails of the natural history museum to the public are often hidden and I hope this helps to communicate the challenges that these museums face in the 21st Century!